Over the spring season, we will be posting a series of programs and events that aim to keep people inspired to ride. First up is a story of meteoric success matched with spiralling demands. It’s muddy; it’s fast; it’s cyclo-cross. There has been a single force of nature in the world of cyclo-cross this past decade. His performance, drive and accomplishments have inspired a new generation of seemingly unstoppable CX’ers. The likes of Wout Van Aert, Sann Cant and even his son, Thibau, who is making fast tracks in his own right. But before him, came his father and his father’s name is Sven Nys. 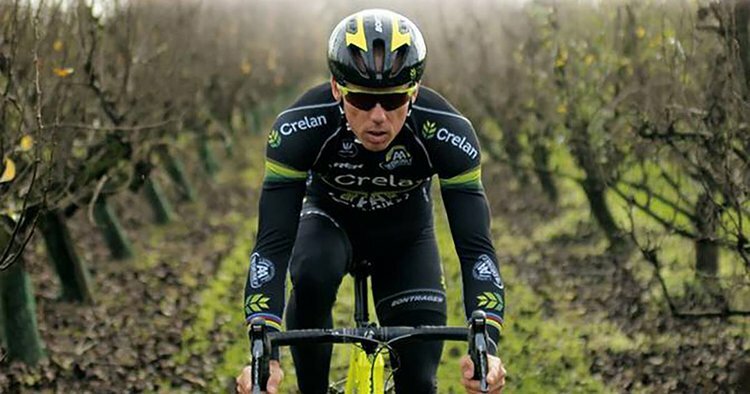 Sven Nys – All out. All day. It seems appropriate that the title to his 2016 documentary is: ‘Sven Nys, The Final Year’. It’s hard to find the motivation on these dark, cold and wet days. When the sun is absent as we rise and the dark envelopes us on our rides home. But don’t be fooled, this isn’t just a story about a champion. It’s like Rocky all rolled into one – the training; his roots; family; fatherhood; legacy and discovery of new horizons. If you’re looking for inspiration these chilly nights. You can’t go far wrong from making yourself a hot-chocolate, grabbing a warm blanket and cosying up to view ‘Sven Nys – The Final Year.’ You’ll be glad you did.